When the multinational cast of Up with People takes the stage at Ruth Seaton James Center for the Performing Arts at CedarBridge Academy on Friday April 28th and Saturday April 29th at 7pm and Sunday April 30th at 2pm & 7pm audience members will find something for virtually every musical taste and interest. You’ll also recognize Bermudian Zachary Kawaley Lathan on stage as a part of the international cast. Long before The Voice began discovering and refining new talent or High School Musical tapped into the exuberance of young ensemble casts, Up with People pioneered these attributes while touring the world with their optimistic message of global cooperation and goodwill. More than 75 Bermudians have participated in delivering a message of hope, peace and understanding across nations through Up with People performances. In addition to Bermuda, Cast A 2016’s spring tour will include 20 cities in the United States, Europe and Mexico. 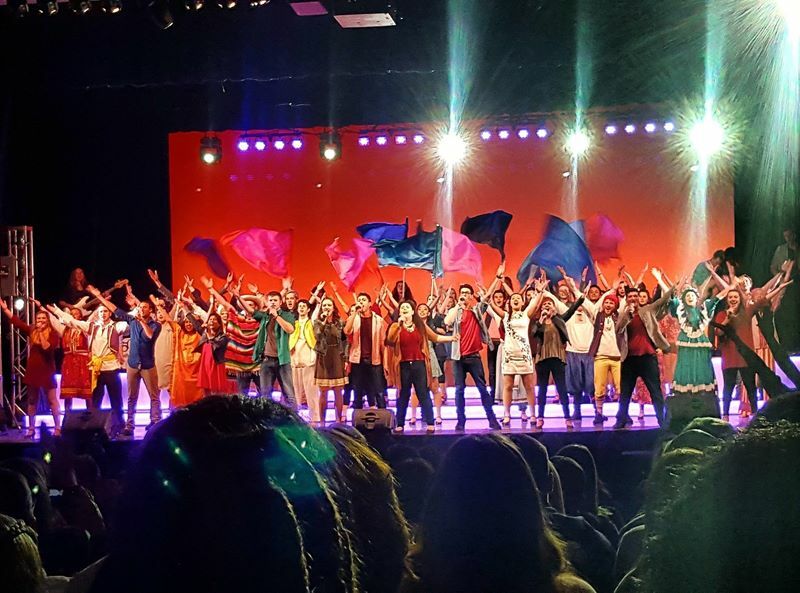 Established in 1965, Up with People is wrapping up their 50th Anniversary Celebration with an all-new production entitled “The Journey” which features the energy and talent of a cast and staff of 100 representing 20 countries. The live two-hour performance includes both original and popular music and is a dynamic blend of feature soloists, full cast production numbers, fast-moving choreography and colorful costumes. 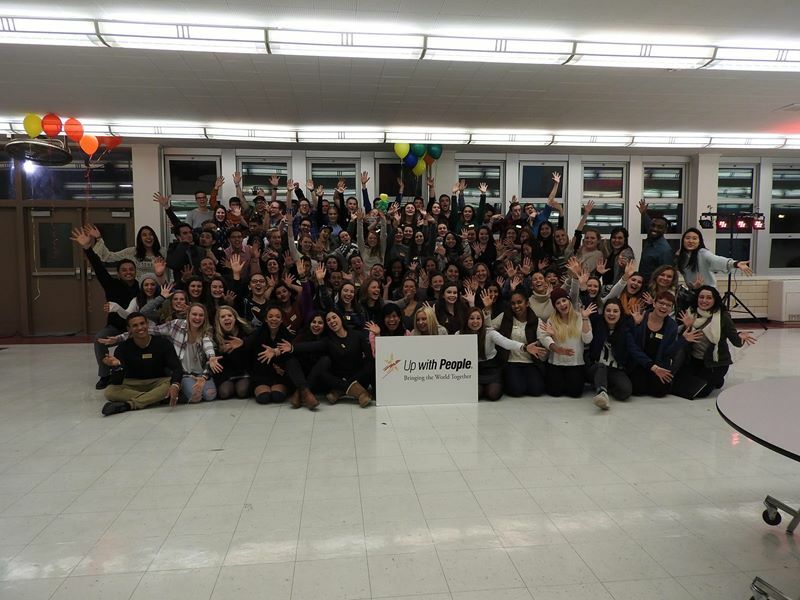 “The Journey will celebrate the 50th anniversary of Up with People, while acknowledging that UWP’s mission is an ongoing journey, and is as relevant in 2016 as it was in 1965,” explains Up with People Executive Producer Eric Lentz. “The show will feature historical highlights from throughout Up with People’s existence, including pop medleys from the last 5 decades, and a medley of iconic UWP international dances. “Original UWP songs will introduce timeless themes, and include messages of hope, movement, peace, and an overriding sense of motivation to go out and make a positive change in the world.” Lentz added. In addition to four Super Bowl halftime shows, casts have recently appeared at the 2007 Macy’s Thanksgiving Day Parade and during the opening celebration of the Pasadena Tournament of Roses’ Rose Parade in 2008, 2011, and 2016 which was estimated to be seen by a television audience of more than 50 million. Tickets for Up with People’s show in Bermuda are $15 for Students/Children, $20 for Adults and $50 Reserved are on now sale online on upwithpeople.org/Bermuda and at Freisenbruch Meyer on Front Street. Up with People’s visit to Bermuda is sponsored by Keystone Partner: Ministry of Community, Culture & Sports; Associate Partners: Ministry of Education and Butterfield & Vallis; Supporting Partners: Bermuda Commercial Bank, Lindo’s Group of Companies and BELCO and local Media Partner, The Royal Gazette, Channel82 & Bermuda Broadcasting. I was in Up With People in 1973 when we performed on the island. Three sold out shows in Hamilton at the old theatre which is no longer there. What a great time we had with the wonderful people of Bermuda.